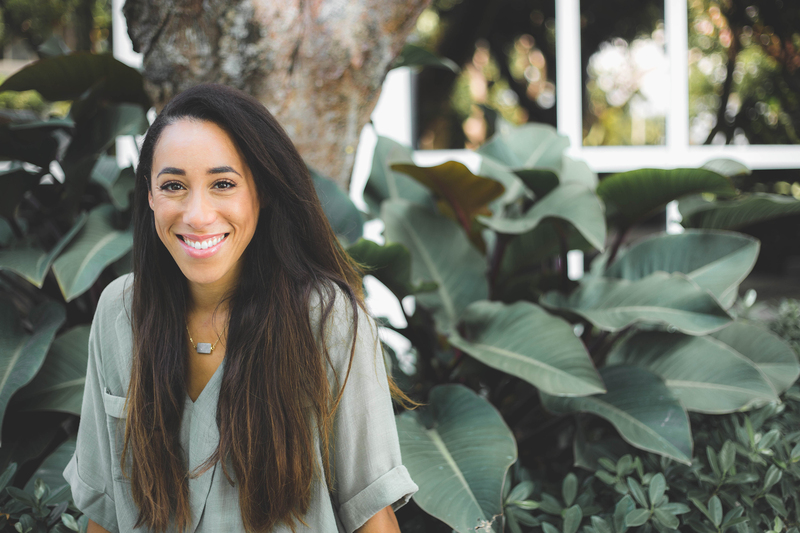 In South Florida, there are a number of vacant lots ripe for transformation and Asha Loring, founder of Health in the Hood Inc., had an idea of what she could turn them into. 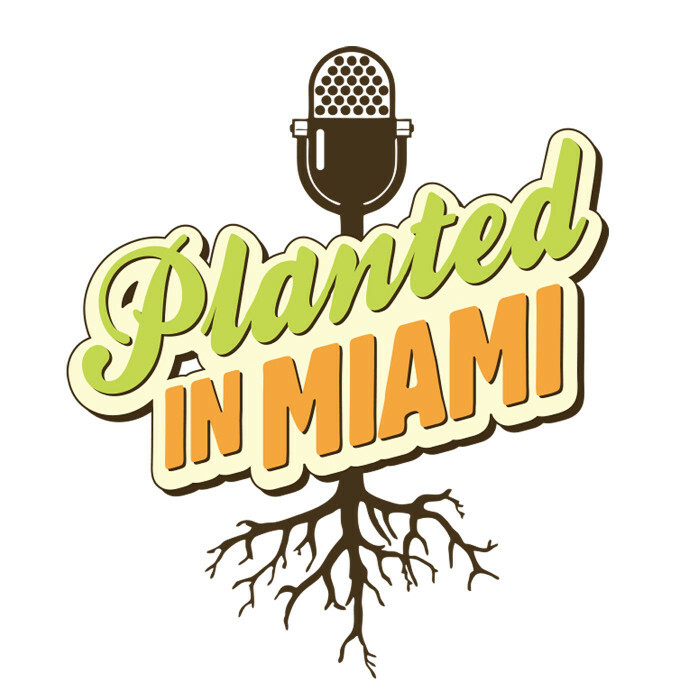 Inspired by a project her father, Marvin Dunn, created years ago named Roots in the City, Asha began taking empty lots and converting them into nourishing gardens in food deserts throughout Miami-Dade and Broward County. 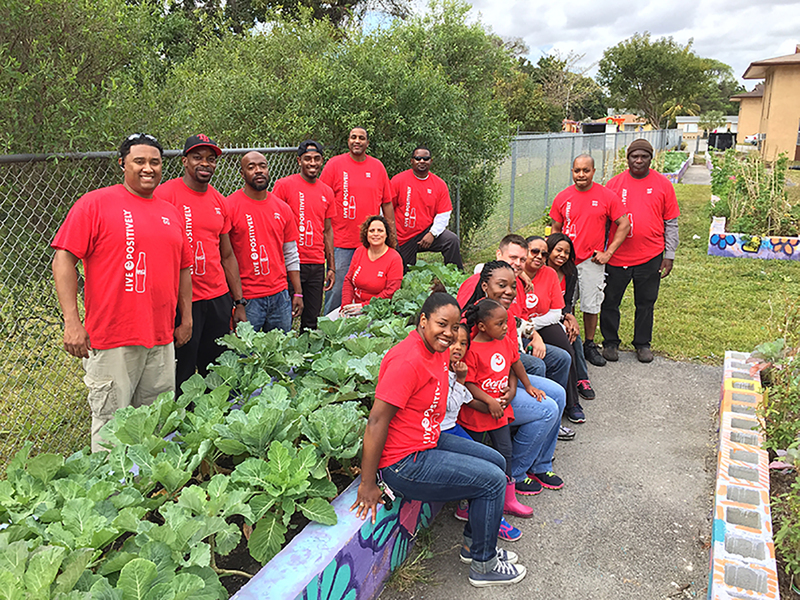 Since it’s origin, Health in the Hood Inc. has planted gardens in Liberty City, Opa-Locka, Overtown and Hallandale Beach. 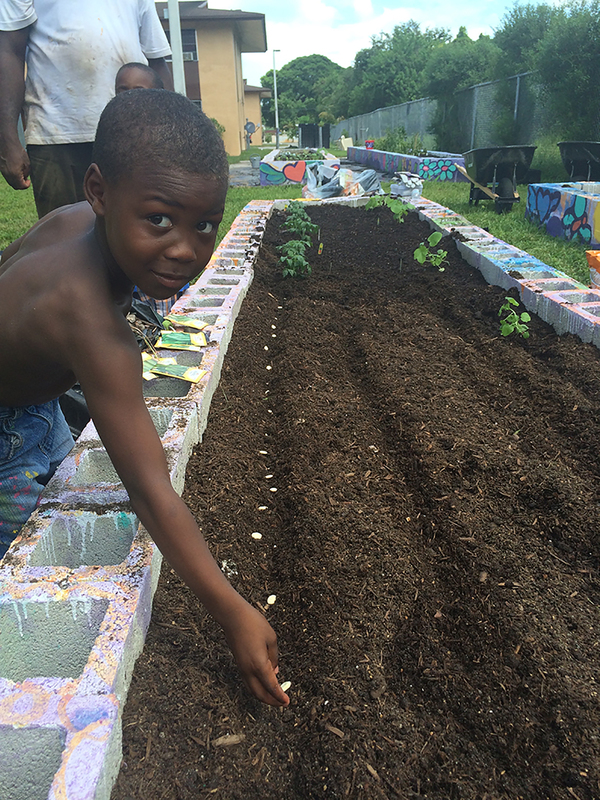 These communal gardens have essentially become classrooms and meeting areas where people can learn things such as how to plant food in their backyards, understand complicated nutrition labels as well as the many benefits of exercise. 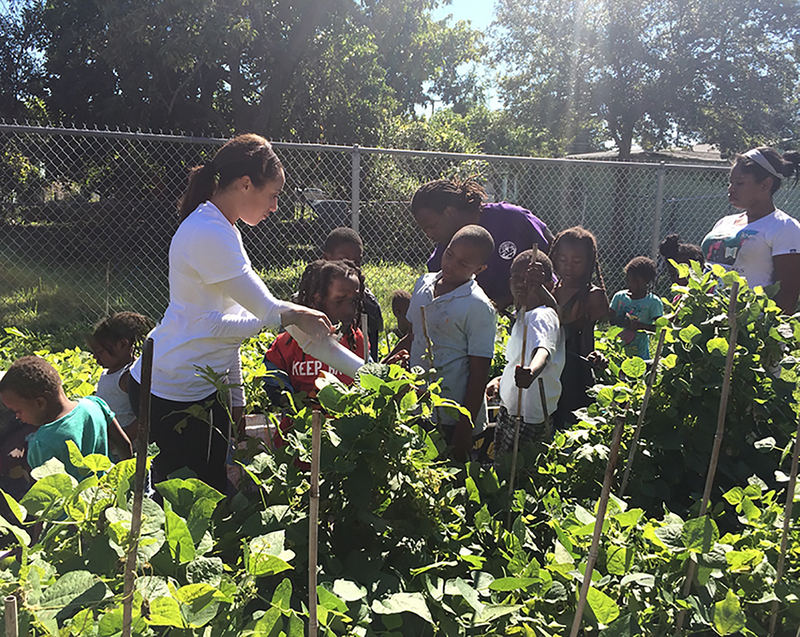 In addition to providing healthy fruits and veggies, Asha’s organization is also responsible for creating jobs which helps keep the gardens running. 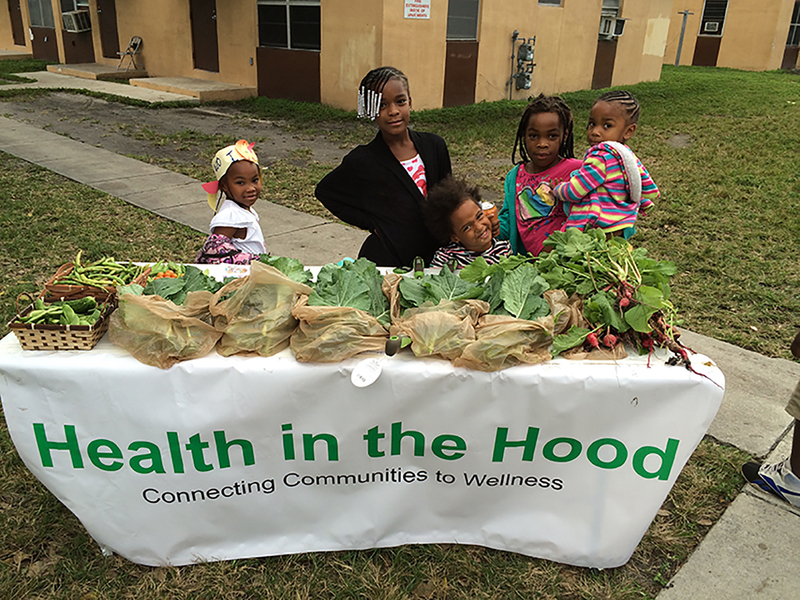 Health in the Hood Inc. excels in putting children on the path to healthy futures, giving parents valuable information and creating environments that support healthy choices. 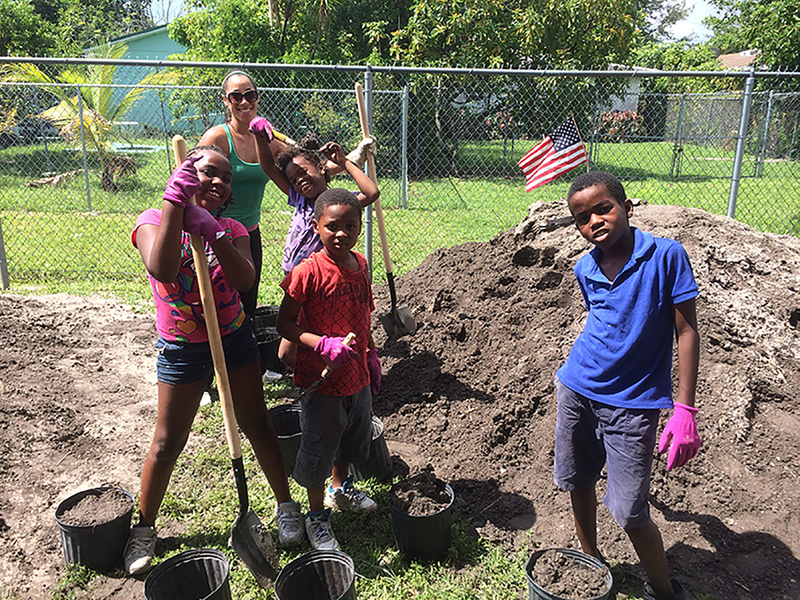 Courtesy of Health in the Hood.